I found this Lemon Chia coffee cake recipe over on Baking Bites. I have to be honest. I’ve never used chia seeds before. But, I had just bought a giant Costco bag of them, in the hopes I might find good use for them. (yes, chia seeds are the same ones they use for Chia Pets. I had no idea…). I had been reading all the health benefits of Chia seeds and thought they would be perfect in our daily smoothies. But guess what? They are perfect in place of poppyseeds too! This cake is so soft and moist, and can you believe I didn’t even feel the need to add a drizzle of anything on top? It was that good on it’s own. I’m going to try to make this into muffins soon, I’ll update the post and let you know how it turns out! 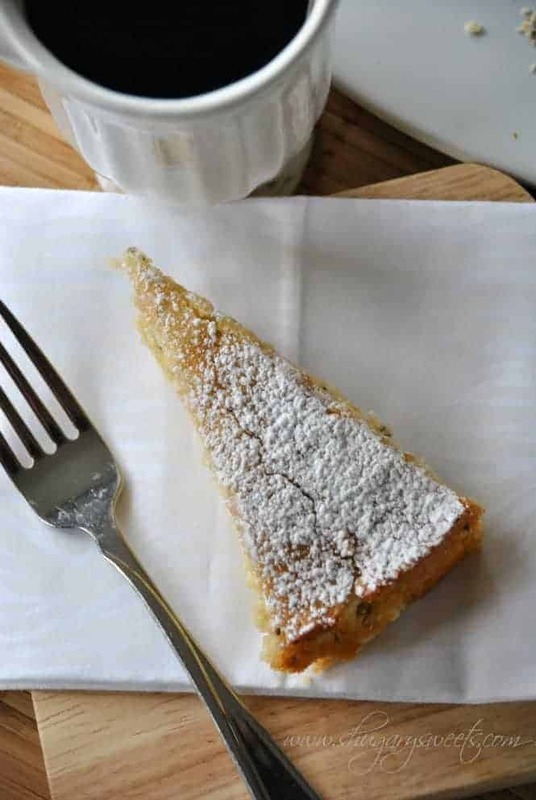 For now, I’m just going to enjoy this simple lemon coffee cake. 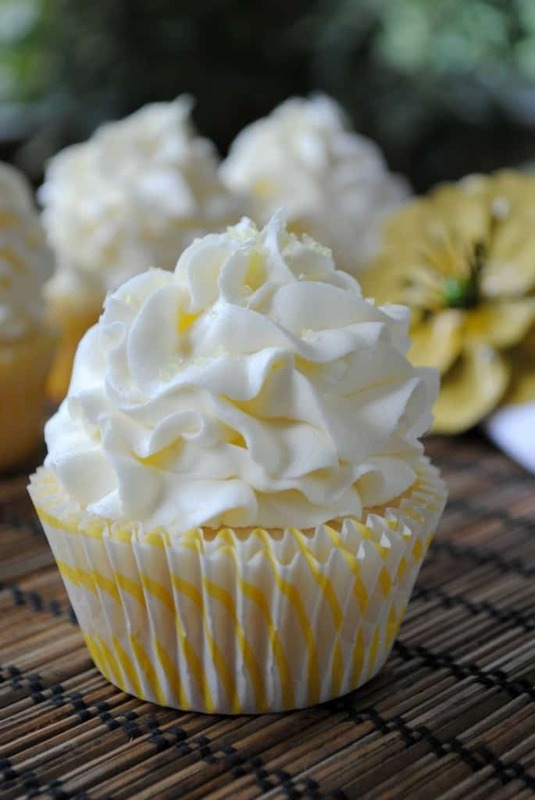 Lemon Cupcakes with Lemon Buttercream: using my favorite white cake recipe, from scratch, these lemon cupcakes are delicious! 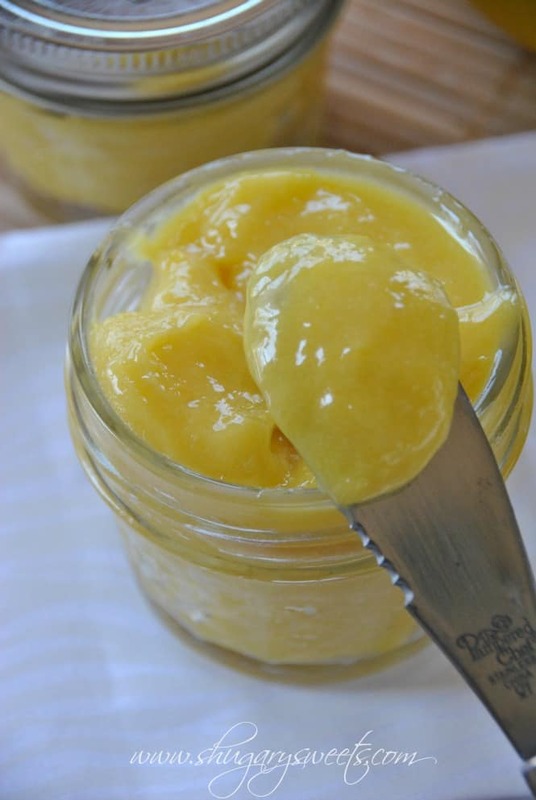 I made homemade lemon curd for the first time, and completely fell in love. It’s so easy!! 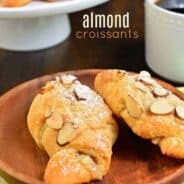 Need an easy, no fail dough, breakfast pastry idea? 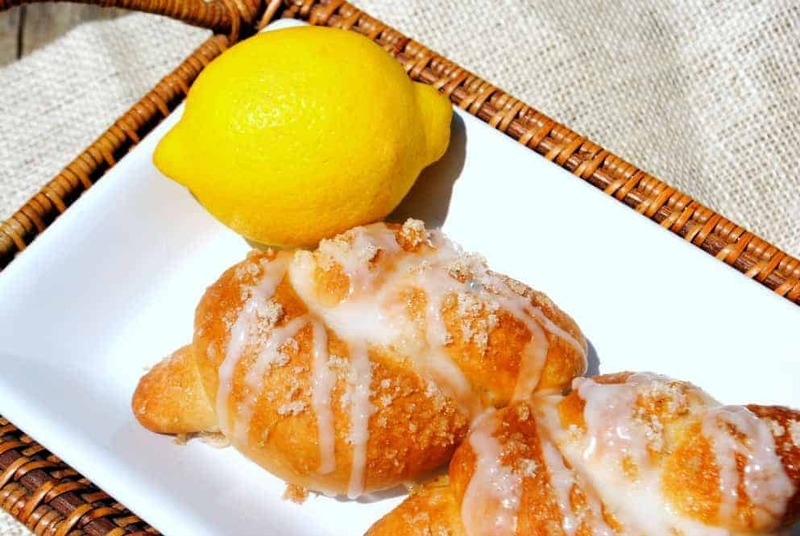 Try making Lemon Knots with frozen rolls. In a large mixing bowl, beat butter and sugar until fluffy, about 3 minutes. Add eggs one at a time. Beat in lemon zest and juice. Stir in flour, baking powder baking soda and salt. Beat in the yogurt and chia seeds until batter is smooth. Pour into a 9inch round cake pan that is greased and the bottom is lined with parchment paper. Bake in a 350 degree oven for 40 minutes. Remove and cool on wire rack for 15 minutes. Turn onto plate and allow to cool completely. Sprinkle with powdered sugar before serving. ENJOY! I discovered Chia seeds a few months ago. I absolutely love them mixed into my greek yogurt for breakfast but have yet to bake with them. This cake sounds so dreamy! I love lemon!!! I have only put them in smoothies, I really need to just start adding them to more foods!! I have a huge bag of chia seeds in the refrigerator needing to be used. 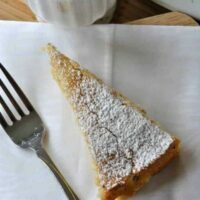 And this lemon coffee cake looks made for them. Yum! We need to set a goal to use our chia seeds!! I love chia seeds. I toss them in so many things, smoothies, salads, parfaits, you name it. I love that you added them into this fabulous cake! Salads! What a great idea! Thanks Jennifer! I have never cooked or baked with chia seeds either. This looks like a wonderful treat for breakfast! I’ve been told they can replace anything you make with poppyseeds…and you can add them to so much more!! Do you use regular yogurt or greek yogurt? I used regular Yoplait vanilla yogurt. Greek yogurt would work just fin too though! Confession, I have never heard of Chia. Did not know it was a seed! I need to investigate that! This cake looks really great and love the lemon! Ch.ch.ch. Chia. Chia pets? No? Anyways, I had no idea you could eat the seeds, I thought they were just novelty plants! But, apparently they are better for you than salmon! I guess I wasn’t thinking too hard. Uh yes! I used to sit in my 10th grade Math class and sing that with my friends. Everybody back then knew what they were, I sing it to my kids and they are like “what Mom”? I have yet to try chia seeds, but have also heard of all its health benefits in smoothies. Nice to see they are also great for baking. Wonderful in baking 🙂 Now I need to figure out how else to use them!! My blog in 2009 was all about chia seeds! You can use 1 tsp of chia to about 3 tbsp of water and let it thicken and get goo-like for vegan eggs; same with ground flax. Chia/flax eggs are pretty common in vegan baking. And they are wonderful in smoothies, and I love making chia seed pudding with them and you can frreeze that and turn it into fro-yo or ‘ice cream’ of sorts. I love them! Your cake is perfect! Hmmm, I’m going to have to look into more recipes with these chia seeds! I had no idea all the things you can do with them!! I’m gonna do some research though- this cake looks lovely! I hear the seeds are what you spread on the chia pet! Crazy right? Who knew that was edible? Clearly not me! It goes great with a cup of tea! Thanks Kiran!! I’ve used chia seeds a lot. I even sneak them in pancakes when I make them for Nik. They have more Omega-3s than salmon, some protein, and minerals. Ty, awesome idea for pancakes! I’m going to be putting them in everything, why not right??? I never knew chia seeds were good for you? Guess it’s ok to several slices of cake right? This would be wonderful for breakfast! I have been hearing about Chia seeds all over the place. I need to try them! And lemon anything, especially coffee cake? Score! We use the chia seeds in smoothies and salads…be warned though…the seeds like to stick in your teeth. Just look in a mirror before leaving the house if you eat them that way. LOL! I knew they could be used as an egg substitute too, but I haven’t gotten that far with them yet. 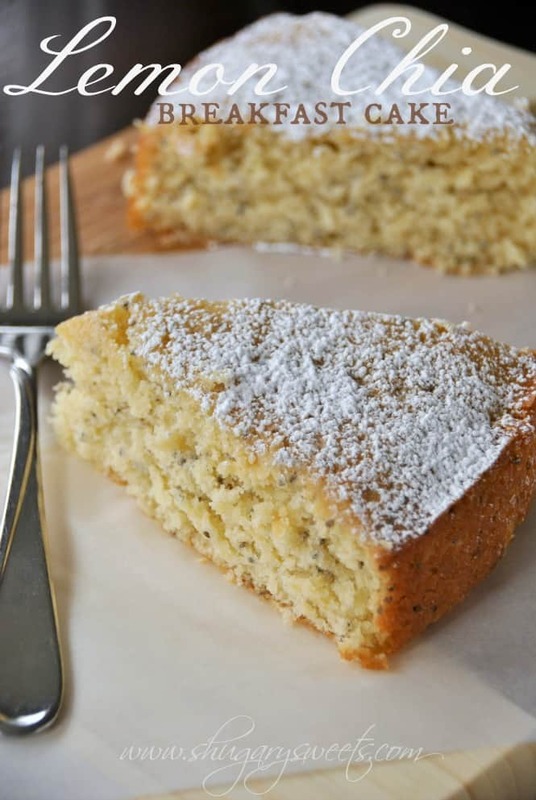 I love that you used them in place of poppy seeds for this fabulous cake!!! I want a huge slice and some coffee! Let’s plan a meet up soon!!! yeah, they definitely do stick! More so than poppy seeds!! I’m not really sure how to use them, but everyone commenting has some great ideas! I’m pretty excited! I’m going to have to get my hands on some chia seeds! So intrigued. I like to be trendy, LOL. I have been contemplating chia seeds too, but haven’t taken the plunge. This moist, lemony coffee cake is even more motivation. What a fantastic idea to use them in place of poppyseeds! (PS. Who would have thought you could eat those little nuggets and they’d be good for you?! Amazing). yeah, I don’t think I would ever have been brave enough to try things for the first time in the universe!! This is the 3rd recipe in a week I’ve seen with chia seeds. I saw one on Joy the baker for smoothies, which sounded great. Good to know they work perfectly in place of poppyseeds! 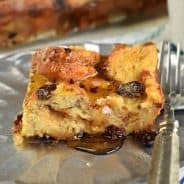 The lemon coffee cake sounds wonderful! They sure do work great!! guess you need to try it yourself now, Marcie! This looks amazing! I am probably the last person who has not tried chia seeds but have heard so much about them. This is a perfect way to try them! I thought “I” was the last person. Good to know…hehe!! This looks so unique! Very pretty. Dont you just LOVE chia seeds? I’m addicted!! I made some lemon chia seed muffins a month or so ago and the recipe was a flop, but that never stops me. I’m going to try this cake and I’m pretty sure I even have all of the ingredients on hand. I’m going to try it as muffins, I’ll let you know how they turn out. yes, please let me know if you try it as muffins!!! I love chia seeds and think this is a FABULOUS use for them! Perfect for breakfast!! This looks crazy tasty! I love using chia seeds in everything. They enhance the flavor of everything around them, so I imagine this will be one super tasty lemony cake! YUM! 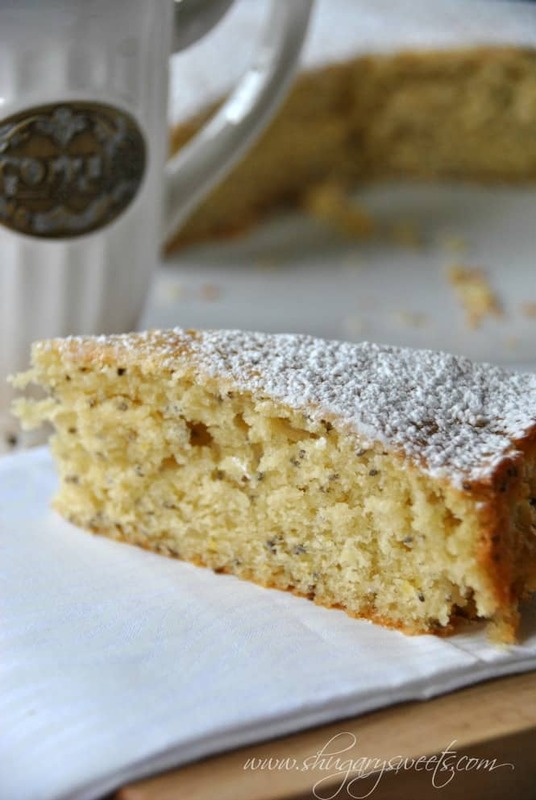 I’ve never had a lemon coffee cake or chia seeds, but this sounds delicious! The pictures are beautiful. I may have to try out this recipe for Easter! thanks Leslie 🙂 You should try it out!!! I can’t wait to try this! We go through lemon chia muffins like CRAZY, this will be a nice change! Love this! I bought some chia seeds and then hid them away in the pantry. I need to bust them out and make some cake! Definitely time to bust them out of the pantry. Why make smoothies with chia seeds when you can have cake? And it’s healthy right? Lemons? Chia Seeds? The Lemon Chia Coffee Cake has given my husband a reason to always have breakfast before heading to the office. 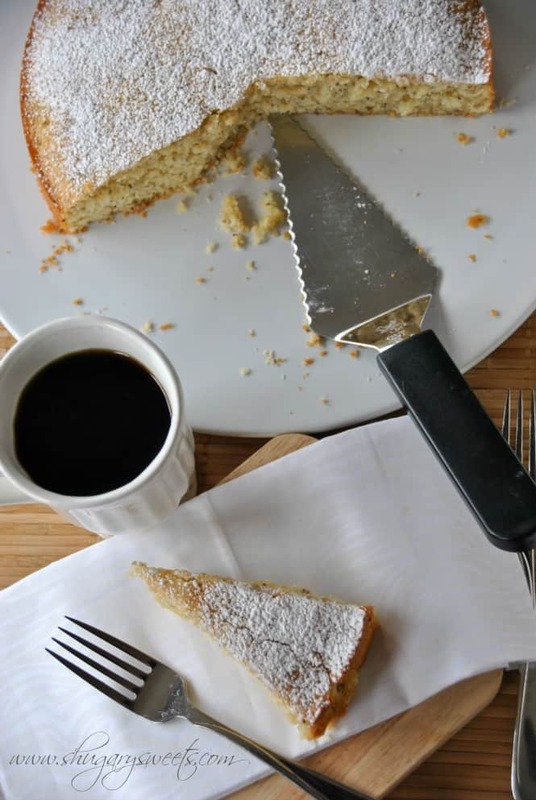 Since he is the type of guy who loves his coffee pitch black he tends to finds the Lemon Chia Coffee Cake a wonderful accompaniment. Like you, I keep reading about the wonderful chia seed. So, when I saw a bag at Trader Joes I bought it with no idea of what I was going to do with it. Now I can put my chia seeds to good use! Thanks for the recipe! I found this cake on pinterest. It didn’t take me very long to try it out. I made it last night and it is very good. As promised, it’s moist and sweet. I’m not fond of too sweet of a dessert so I think I will cut down the sugar. Again, thanks for the pictures and recipe! You’re welcome! I’m so glad you enjoyed the recipe! Holy cow this is good. Used gluten free flour, blueberry yogurt and TONS of zest! SO good. I love this recipe! The cake is so moist and light, I was wondering what the caloric breakdown per serving is? I actually don’t calculate the nutrition on my recipes, but I know there are some online calculators you could plug it into! 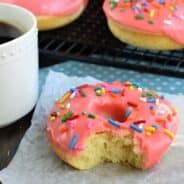 I cannot find vanilla yogurt, do you know if i can replace it with another ingredient? No vanilla yogurt? You could use sour cream if you must! It is an excellent cake especially when black poppy seed are not available in India. Thanx for a lovely alternative, especially when it is a nutritive substitute. In India we use Chia seeds in drinks especially in a mik based drink called “Falooda”. Wow. Thank you again for giving an alternate for poppy seed. 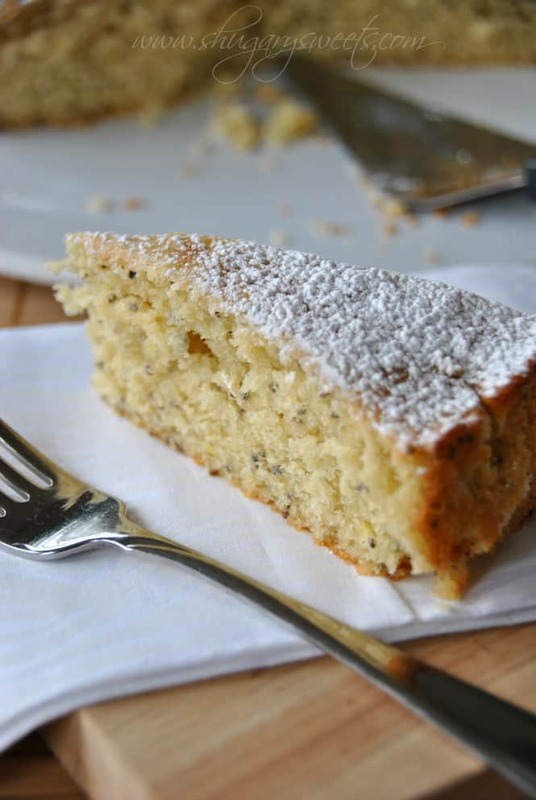 I have just made this cake and it is really moist, very tasty and the chia seeds give it a nice crunchy texture. Very nice recipe, thank you.